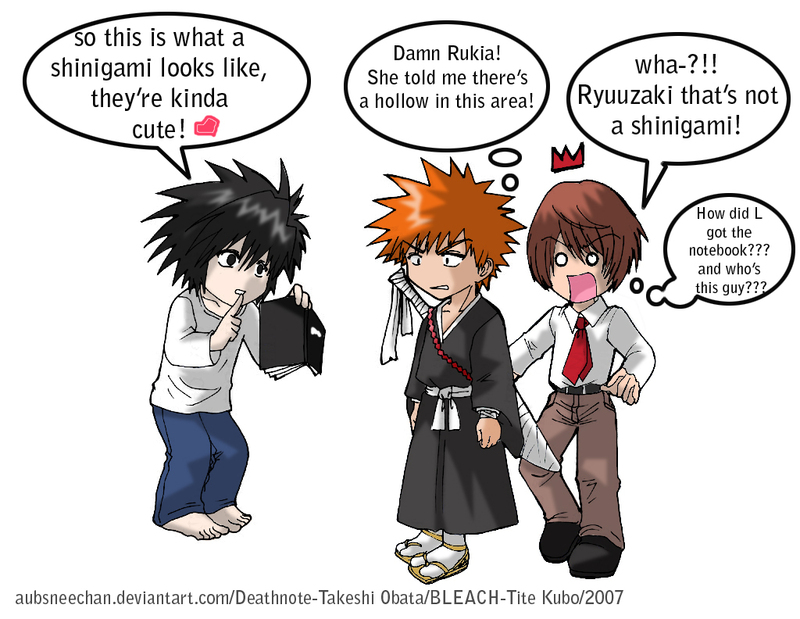 DN & Bleach Crossover. . HD Wallpaper and background images in the Death Note club tagged: death note death note light crossover fan art bleach ichigo funny. L? HAHAHAHA LIGHT LOST HIS CHANCE!